In last week’s webinar on fee setting, one of the 5 secrets I shared had to do with understanding value before quoting a price. By this I mean, you personally have ownership of the value your are providing and the client agrees – they too see the value. On the call I discussed various ways to ensure this happens, along with some key technology areas that demonstrate it well. One of these areas is security…you might have guessed if you’ve read my book, The House & the Cloud. Security issues are in every company – if you can find them, most of the time they are urgent. In a recent coaching call we were reviewing assessment results from a complementary risk analysis. The client’s email system had been compromised and was acting as a spam relay! What is the likelihood of closing the remediation business on this one? 100%! In another situation the client’s report revealed no firewall – the network was actually set up to bypass the firewall! Another 100%…and finally, I worked with a client recently only to discover that everyone in the company had full admin rights to their database – this is a healthcare company with HIPAA requirements! Again, there is a 100% likelihood of closing business. Why? Simply put, we found urgent issues and had asset owners involved. Executives are still interested in security…you may not think so, but the fact that Wall Street continues to write about security tells me the readership – mostly management level people, are interested. It’s not that hard to arrange marketing events and sales calls around educational security related material. The success comes as sales people focus on the business aspects, not the technology itself. Every technology deal has a security aspect to it – one that is central to the success of implementation. Whether you sell unified communications, applications, core networking, storage, or specialize in managed services, security is key. It’s a differentiator. If your competition is selling storage, the deal is likely dependent on price. When security enters the equation, the value equation changes. 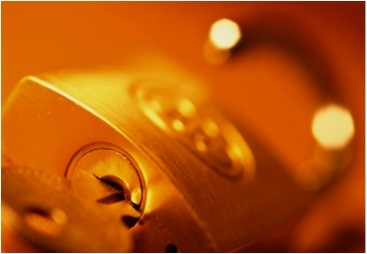 Here, success is dependent on understanding how to weave the security story into the deal. It’s always relevant, making it the right thing to do.